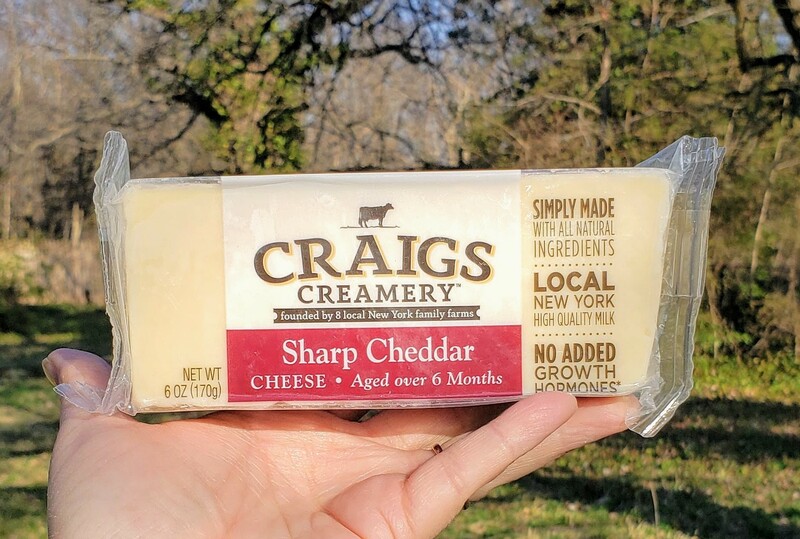 Just the other day, we received samples of cheddar cheese from Craigs Creamery. We’re cheese lovers to the max in this household so we welcome the opportunity to try new-to-us cheese brands. I used to work at Di Bruno Bros., and had access to the very best cheeses from around the world, so I know a thing or two about cheese. These new farm-to-table cheese products piqued my interest. 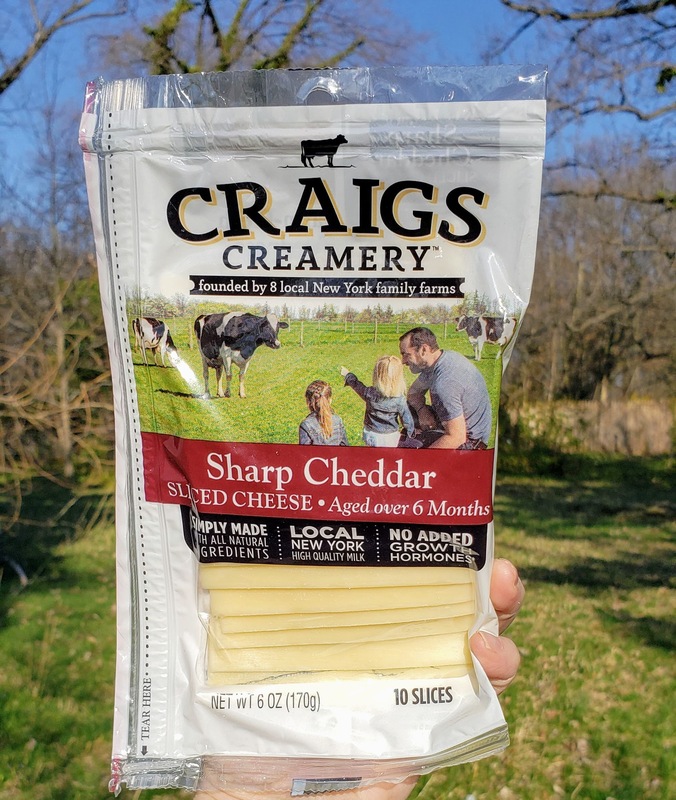 Crafted with milk only from a group of local, close-knit family farms in upstate New York, the cheese making process is controlled and occurs within a 20-mile footprint. In fact, fresh milk is picked up daily from the family farms and delivered to the creamery within hours, and in some cases, only a few miles from where the cows are milked. These farms have been providing the freshest dairy for generations in Western New York. We were sent a large box of sharp cheddar items — shredded, slices, snack bars, and a lovely 6 oz. block. Good thing we LOVE sharp cheddar and that’s almost always what we buy. We also received a bag of mild cheddar cheese snack bars. After unboxing, we nibbled on a couple pieces of the snack bars and can’t wait to try the others. I will be putting the slices on sandwiches and using the shredded cheese in macaroni and cheese. Naturally, the snack bars make perfect snacks when hunger strikes! Trust me, this cheese won’t last long in our house. 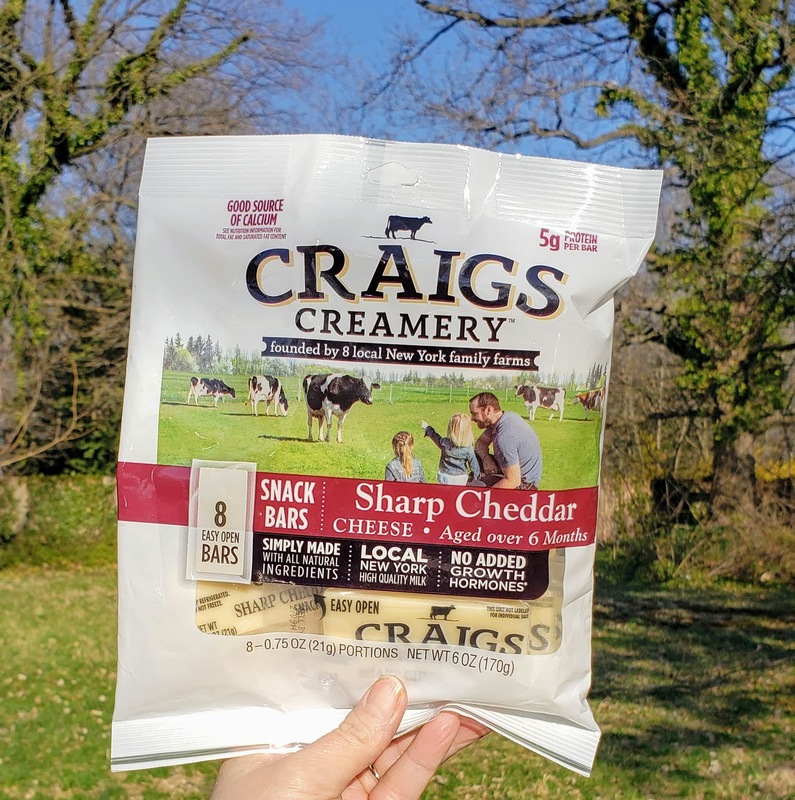 If you’re interested in trying them yourself, you can find Craigs Creamery products in Philadelphia area ShopRite and Giant grocery stores. Check here for the closest to you. 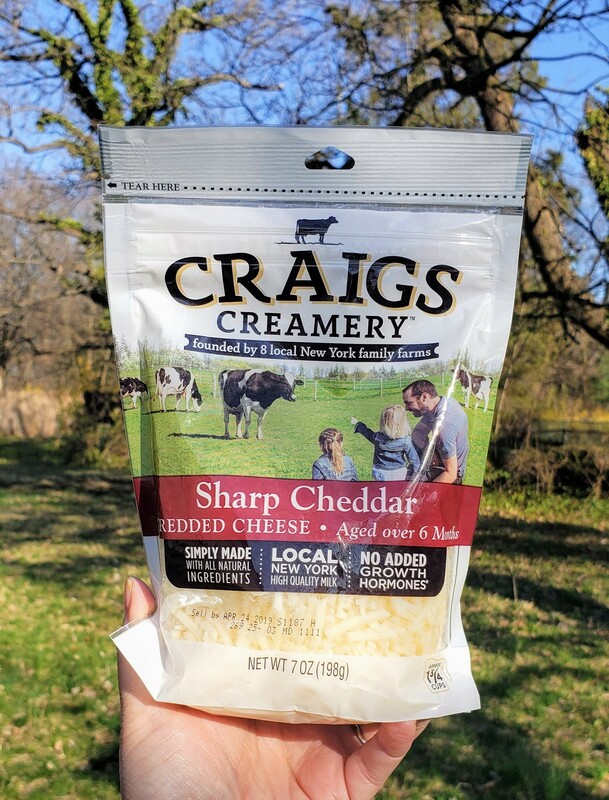 If you like trying new cheeses, definitely give them a try! Let me know when you do! 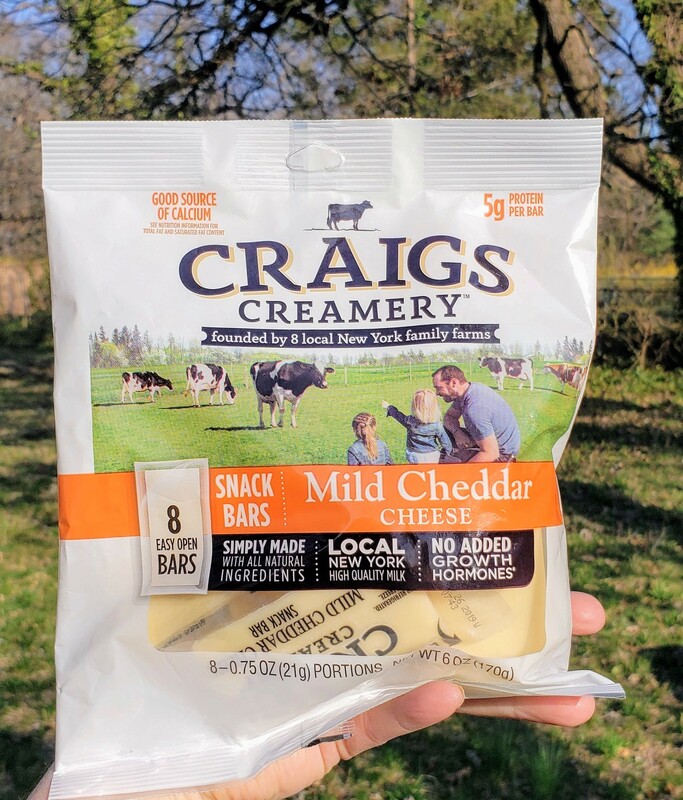 Tags: Craigs Creamery. Bookmark the permalink.